If the NAS hardware has been installed and it is connected to the Internet, you can progress to firmware installation. Please follow the instructions to set up the hardware. 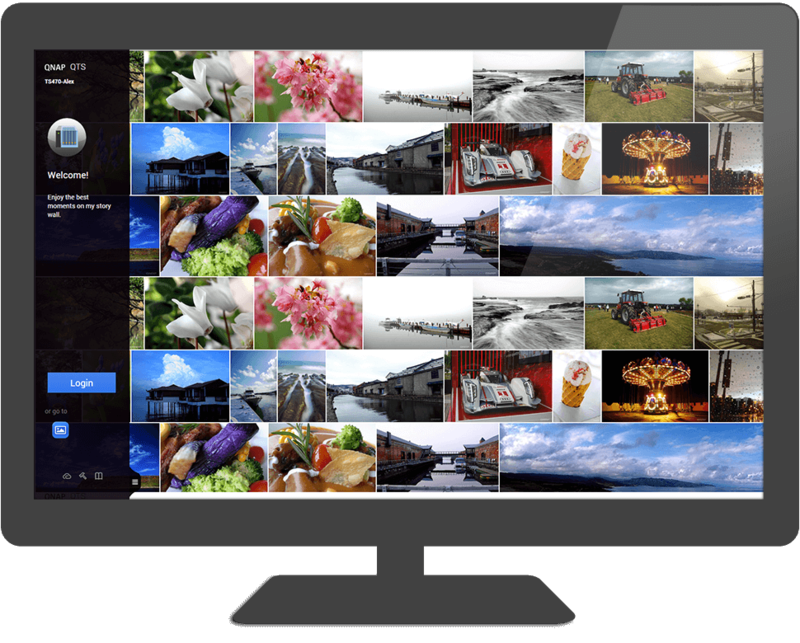 QTS is the operating system of QNAP NAS and must be installed before using it. Please follow the instructions to install it. 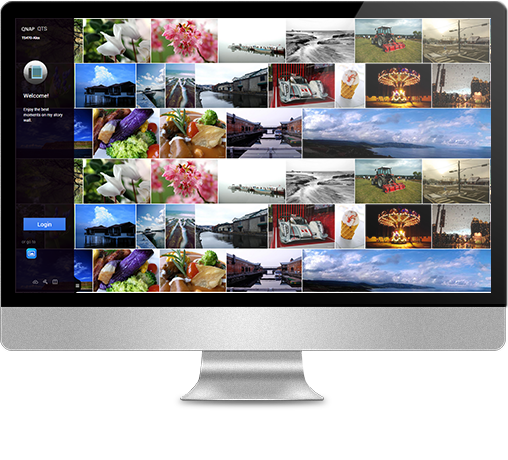 Log in with your username and password and start using your personal cloud. 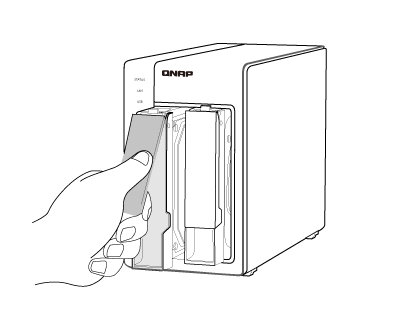 Take out the disk tray from the QNAP NAS then fasten the disk with four screws matching the holes at the base of the disk tray. Insert the disk trays into the QNAP NAS. Note: All the drive data will be cleared upon hard drive initialization. Connect the network and power cables. Turn on the QNAP NAS. Note: The NAS is ready when you hear a long beep. Three methods are provided for you to install the NAS firmware. If your NAS is not connected to the internet, you can use Qfinder Pro to find your NAS over LAN for installing firmware. 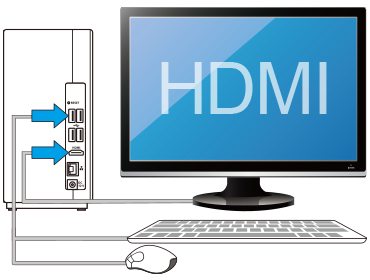 If your NAS supports HDMI output, you can connect it to an HDMI display and follow on-screen instructions to install the firmware. 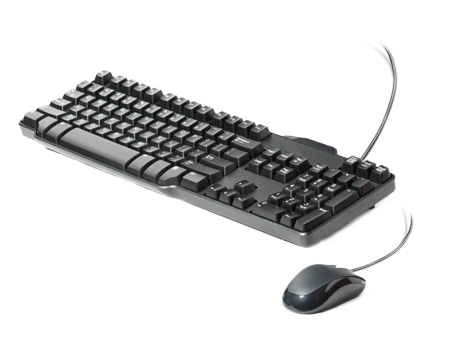 You will need a USB keyboard or QNAP IR remote control to complete this method (the TS-269H does not support this function). Power on your NAS and connect it to the Internet. 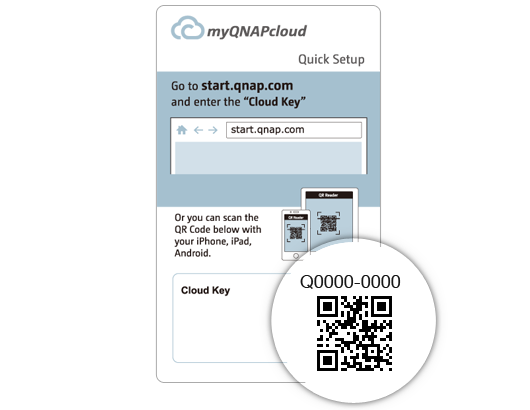 Find the QRcode on your NAS (or its packaging) and scan it with your mobile device. You can also click here to enter the cloud installation process. Enter your "Cloud Key" and follow the instructions to install the firmware. 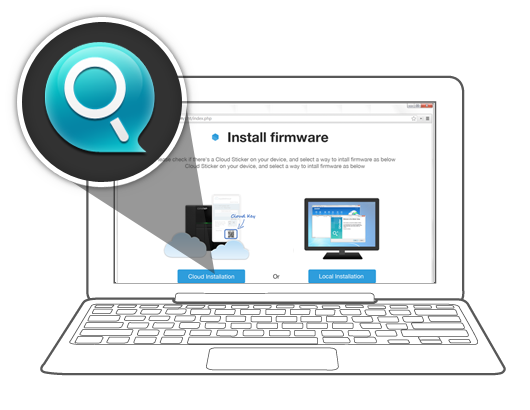 Please download QNAP utility "Qfinder Pro" based on your operating system to start firmware installation. 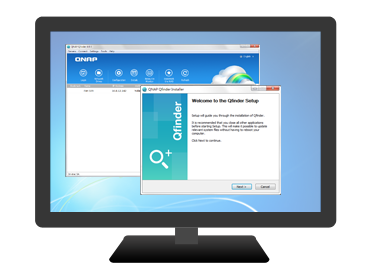 After downloading Qfinder Pro, please install it on your PC. 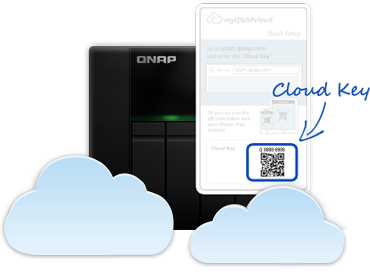 This utility will help you to locate and configure the QNAP NAS on the LAN. Search for your NAS and double click on it. 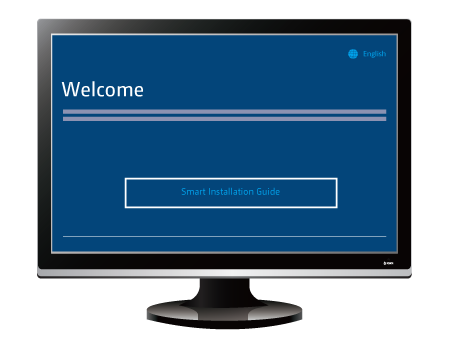 The installation webpage will guide you through the installation process. If your NAS is not connected to the Internet, you must download it to a computer and upload it to the NAS. *The default username and password is admin/admin. 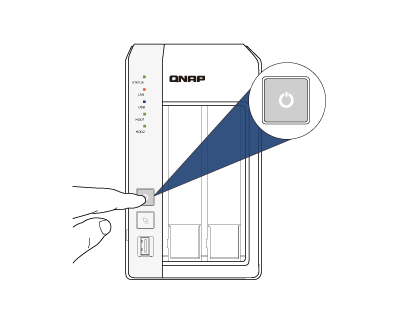 Either use the QNAP IR remote control or a USB keyboard to directly operate the NAS. 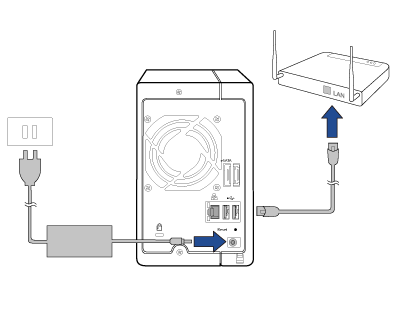 If the NAS is connected to an HDMI display, the system will guide you through the installation process. This method does not require Internet access. Tutorials: How to install the QNAP NAS using HDMI installation? 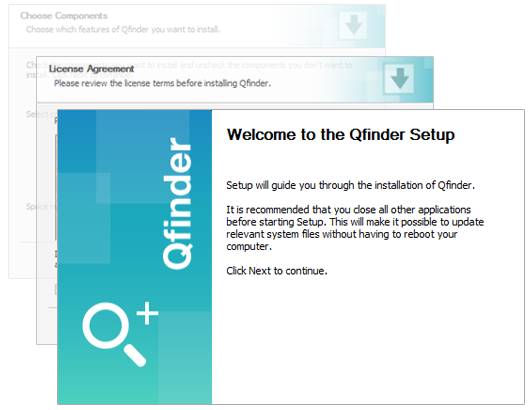 After completing the installation process (or if your device has pre-installed firmware) you can connect to the NAS using Qfinder Pro. For more details on using Qfinder Pro, please see the tutorial. 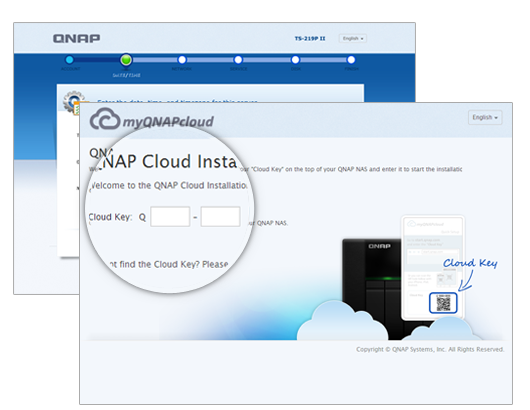 Learn all the new features with resources on the QNAP website. 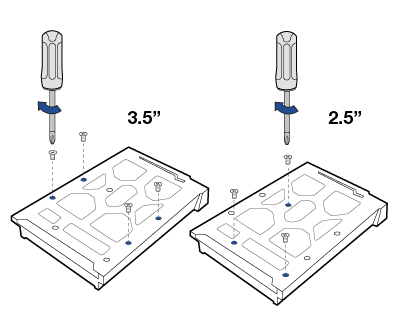 Check the QTS software user guide here. Find FAQs and tutorials about QNAP NAS. Useful utilities enhance the experience. 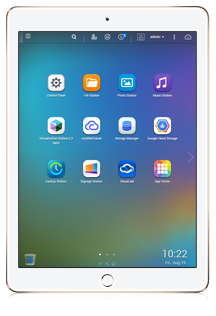 Remote access on the go with iOS® or Android™, making your life more convenient. For all issues encountered during installation, please contact us. Copyright © 2018 QNAP Systems, Inc. All Rights Reserved.